1 May: Military Fair Voortrekker Monument. The fair takes place from 09:00 to 16:00 on the picnic site at the Voortrekker Monument. The entrance fee is R20 per car, regardless of the number of occupants. 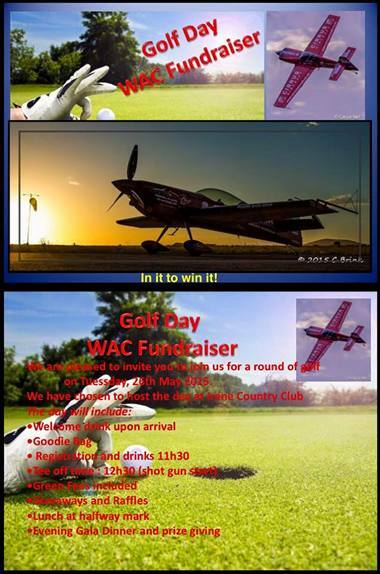 Interested persons can contact Geraldine Paulsen at marketing@vtm.org.za or on 012 326 6770 with any queries. There will be food stalls for the hungry and a beer caravan for the thirsty. The entrance fee is R20 per car, regardless of the number of occupants. 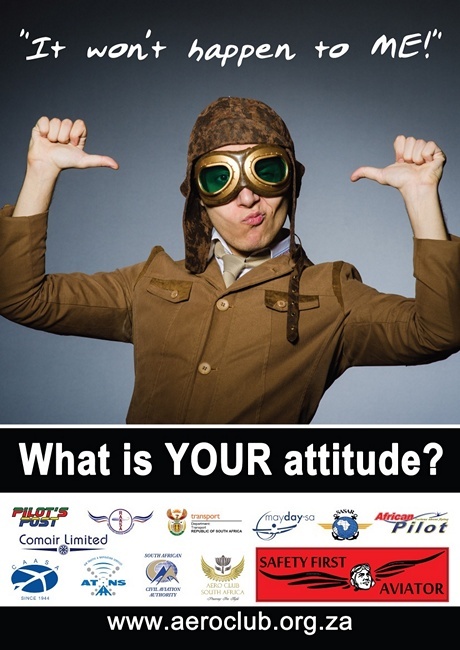 Interested persons can contact Geraldine Paulsen at marketing@vtm.org.za or on 012 326 6770 with any queries. April 23 1988 - The U.S. government's ban on smoking on flights of two hours or less goes into effect. "No Smoking" signs remain lit on 80% of domestic airline flights. Flight attendants are to be armed with gum and candy for those in anguish. April 23 1988 - Kanellos Kanellopoulos recreates the mythical flight of Daedalus by flying a pedal-powered aircraft, the MIT Daedalus from Crete to Santorini, covering the 119 km (74 miles) in 3 hours 54 min. April 25 1948 - A North American YP-86 becomes the first jet-powered aircraft to exceed Mach 1. April 26 2001 - Pilot Sean Loutitt lands in Chile after a daring two-day flight to the South Pole in a Twin Otter to rescue an ailing U. S. scientist. It was the first rescue of its kind in the harsh Antarctic winter. April 26 1896 - Ernst Udet, WWI pilot and film actor, Luftwaffe officer, was born (d. 1941). Udet was the second-highest scoring German flying ace of World War I. He was one of the youngest aces and was the highest scoring German ace to survive the war (at the age of 22). His 62 victories were second only to Manfred von Richthofen, his commander in the Flying Circus. April 27 2005 - First flight of the Airbus A380 from Toulouse, France. April 28 1927 - The first airmail service north of the Arctic Circle begins between Fairbanks and Wiseman, Alaska. April 28 1919 - The first free-fall parachute jump. Leslie Irvin jumped over McCook Field, Dayton, Ohio, to prove that you won't lose consciousness during a delayed free-fall using a manually operated parachute. The parachute is designed by Floyd Smith. Australia: The search area for the missing Malaysia Airlines Flight 370 will be expanded by another 60,000 square kilometers (23,000 square miles) in the Indian Ocean if the jetliner is not found by May, officials said April 16, 2015, affirming their commitment to not give up until it is locate. Indonesia, Jakarta: An Indonesian fighter jet caught fire just before taking off with other aircraft, forcing the pilot to abort the mission and jump to safety as flames and thick smoke engulfed the aircraft. Canada, Vancouver: A Swearingen SA226-TC Metro II crashed in the North Shore Mountains near Vancouver, Canada killing both crew members. A search party found the wreckage the next day on a snowy wooded hillside, southeast of Crown Mountain. The annual Military & History Fair at the Voortrekker Monument on 1 May will this year boast a couple of new additions. The fair was so popular last year that there are 15 additional stands this year. This year the programme will start at 11:00 with a demonstration of the capoeira fighting art. Capoeira is a type of fighting that had its origins in Brazil amongst warring slave groups. The monument's canon Susanna will be fired at 12:00. The Monument obtained Susanna from the Cape Town High School in 2003. She is a British six pound gunade ship's canon. After Susanna, the miniature cannons of the Canon Society of South Africa will be fired. 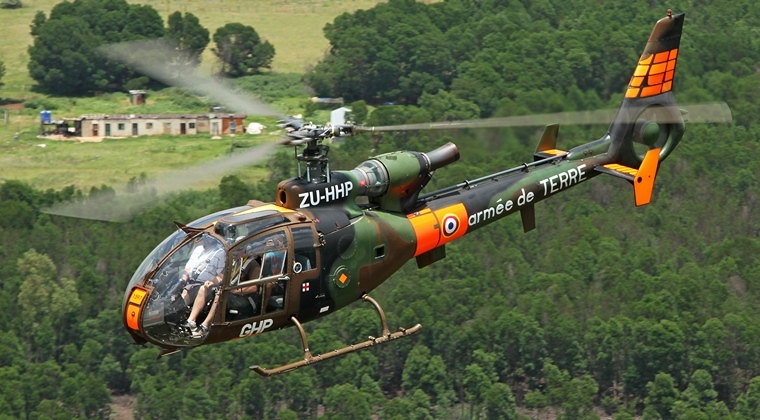 A French Gazelle helicopter will most probably be the biggest draw this year. These helicopters saw action in Afghanistan until recently. There will also be an Alouette helicopter. Mainstay of the fair, Milkor will exhibit their Supersix 40mm grenade launcher and also have some of this weapon's earlier models on display. Matoska, a company manufacturing sniper rifles amongst others, will have their Double Star 3G 5.56x45 rifle at the show. 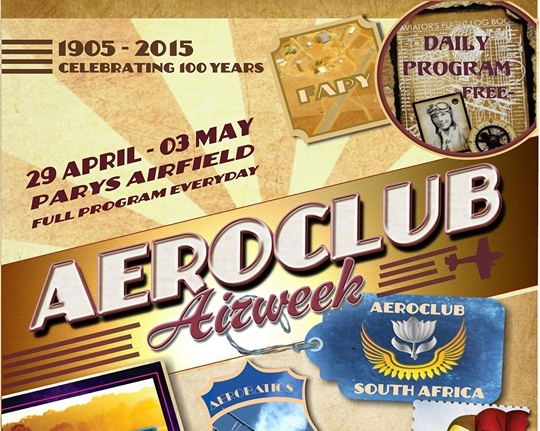 The Zwartkop Scale Modellers' club will have large exhibit and there will also be a knife maker. The Armour Formation of the SANDF as well as the Air Defence Artillery Formation will be exhibiting several vehicles at the fair and the Koevoet stall will be selling a beautiful statue. The writers of several military will be on hand to sign copies of their books. Dealers in militaria, books, medals, uniforms and even military art will be at the fair. About 40 military re-enactors will also be on hand. The fair takes place from 09:00 to 16:00 on the picnic site at the Voortrekker Monument. A Lockheed Martin F-35 "Lightning II," the fifth-generation fighter that will be used by multiple U.S. service branches, will make its initial appearance at the EAA AirVenture Oshkosh fly-in this summer. It also marks the first civilian U.S. air show appearance by this unique jet. The F-35 is designed as a versatile, high-performance multirole fighter that combines stealth, sensor fusion, and unprecedented situational awareness. The aircraft can handle a variety of missions with advanced integrated avionics and aerodynamic performance. Along with replacing U.S. Air Force fighters such as the F-16 and A-10, the F-35 is also projected as a successor to the U.S. Navy and Marine Corps F/A-18s, the Marines AV-8B Harriers, and the Harrier GR.7s and Sea Harriers flown by United Kingdom military forces. "EAA AirVenture attendees have often seen the latest military aircraft make appearances at Oshkosh over the past 30 years, a list that has included such cutting-edge aircraft as the F-117 Stealth fighter and the F-22 Raptor," said Rick Larsen, EAA's vice president of communities and member services, who coordinates EAA AirVenture features and attractions. "The addition of the F-35 as a highlight further fortifies AirVenture as an unmatched event to see a group of aircraft in one place that you can see nowhere else in the world." The airplane, an F-35A model, is based with the U.S. Air Force's 33rd Fighter Wing at Eglin Air Force Base in Florida. It is scheduled to arrive midway through EAA AirVenture week and remain on display throughout the remainder of the fly-in. Exact arrival and departure times will be announced as they are finalized. The F-35 joins the list of current military aircraft scheduled for EAA AirVenture 2015 that already includes the B-52 Stratofortress and F-22 Raptor. The F-35 program began as the Joint Strike Fighter program in 1997, an initiative designed to replace the aging fighter aircraft fleet in the U.S. military. Along with cutting-edge technology, the airplane was conceived as a resource for multiple military branches, which would reduce logistics expense for multiple aircraft types. In 2001, Lockheed Martin was selected as the winning concept designer and it teamed with Northrup Grumman and BAE Systems to develop the prototype aircraft. The "Lightning II" nickname was given to the F-35 in honor of the legendary P-38 fighter of the World War II era. 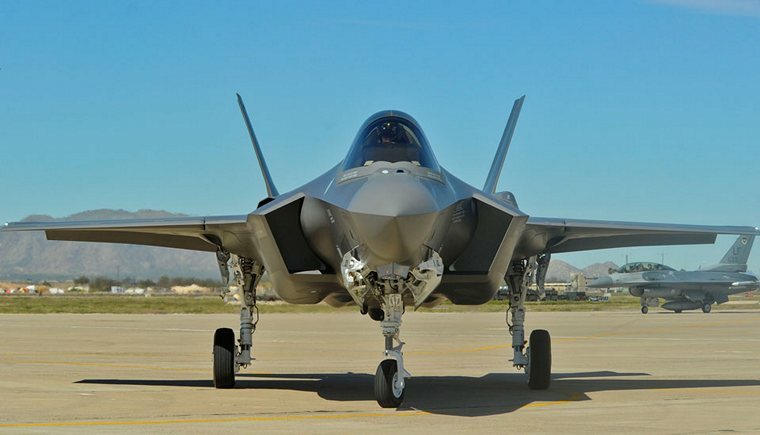 The first F-35 made its initial flight in 2006, with the first production model flying in 2011. Deliveries of the aircraft began later that year. Piper Aircraft officially debuted the single-engine Meridian M500 turbine business aircraft with the latest in Garmin avionics, enhanced safety features, and a number of other significant product improvements. As part of the Meridian M500 debut, Piper announced the availability of the Executive Interior option. "The 2015 Piper Meridian M500 remains equipped with the very latest Garmin avionics package for improved safety," said Piper President and CEO Simon Caldecott. "As we continue our pursuit of product improvement initiatives, we wanted to address an opportunity to offer an enhanced interior that would be a laudable accompaniment to this superior aircraft." Dean "Cutter" Cutshall's F-100F will be the first Super Sabre to ever appear at EAA AirVenture Oshkosh. A North American F-100F Super Sabre, the first U.S. Air Force fighter plane capable of supersonic speed in level flight, will participate in EAA AirVenture Oshkosh 2015 - the first known appearance of an F-100 at the annual Oshkosh fly-in and convention. Owned by Dean "Cutter" Cutshall, EAA Lifetime 229783/Warbirds of America 5757, of Fort Wayne, Indiana, the aircraft will take part in warbird air show performances and also be the subject of a Warbirds in Review session. Details will be announced as they are confirmed. Photo credit: John Dibbs. The Super Sabre, nicknamed "Hun" - short for hundred - is the first of the "Century Series" collection of USAF jet fighters that also includes the McDonnell F-101 Voodoo, Convair F-102 Delta Dagger, Lockheed F-104 Starfighter, Republic F-105 Thunderchief, and Convair F-106 Delta Dart. The F-100 served with the Air Force from 1954 to 1971 and with the Air National Guard until 1979. Powered by a Pratt & Whitney J57 SER turbojet engine, it was the Air Force's primary close air support jet during the Vietnam War until being replaced by LTV A-7 Corsair IIs. F-100s also served in other NATO air forces and with other U.S. allies. After original delivery to the Air Force in 1958, Cutshall's airplane, S/N 56-3948, was in the U.S. inventory until 1974 when it was delivered to the Turkish air force. Fifteen years later it returned to the U.S. to Tracor Industries, Mojave, California, and was sold once more before Cutshall acquired the plane in 1996. 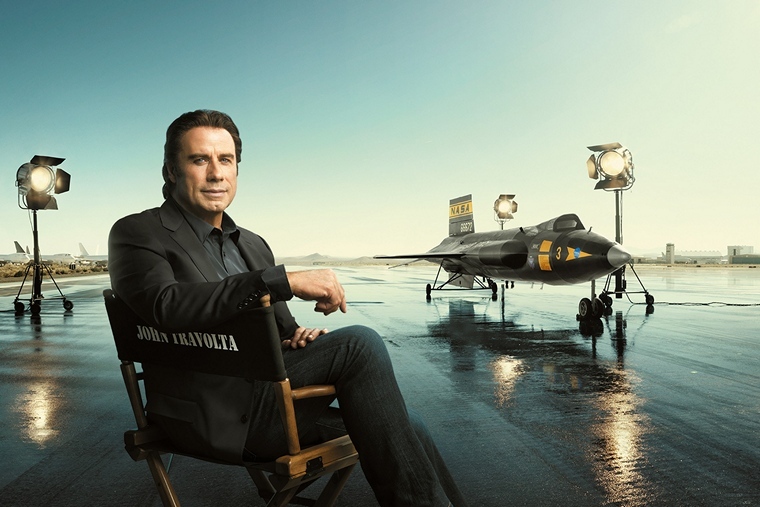 He restored it to flight status with the markings of legendary Air Force ace fighter pilot Francis "Gabby" Gabreski wing commander's aircraft. Gabreski is credited with destroying 34� enemy aircraft during his 26-year career in the Air Force in World War II, Korea, and Vietnam. Gabreski is one of only seven U.S. fighter pilots to achieve ace status in two wars (WWII and Korea). Airbus Helicopters and its Brazilian customer center Helibras have just wrapped up their appearance at the 2015 LAAD Defense & Security fair in R�o de Janeiro, Brazil. This biannual defense show, held from April 14-17, marked the first time the Airbus Helicopters' product range has appeared in Brazil under the new H naming. 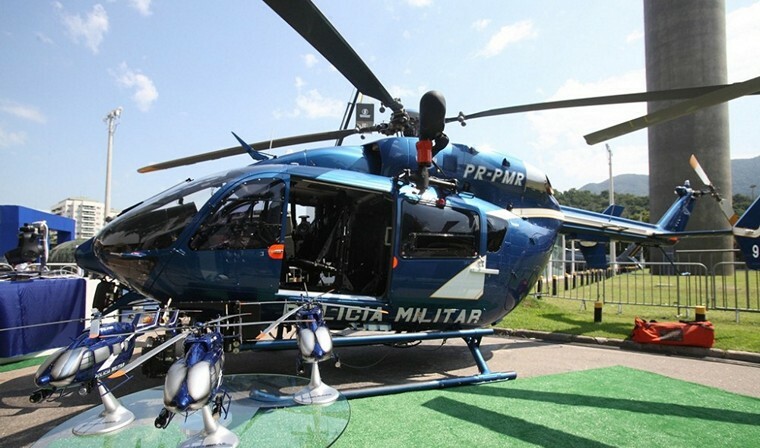 On display at Helibras Chalet were two aircraft to be delivered to the Brazilian Armed Forces in the coming weeks. The first was a retrofitted Fennec helicopter that first entered service with the Brazilian army in 1989. One of 36 Fennecs that Helibras is modernizing for Brazil, this aircraft will gain another 25 years of service thanks to the retrofit. 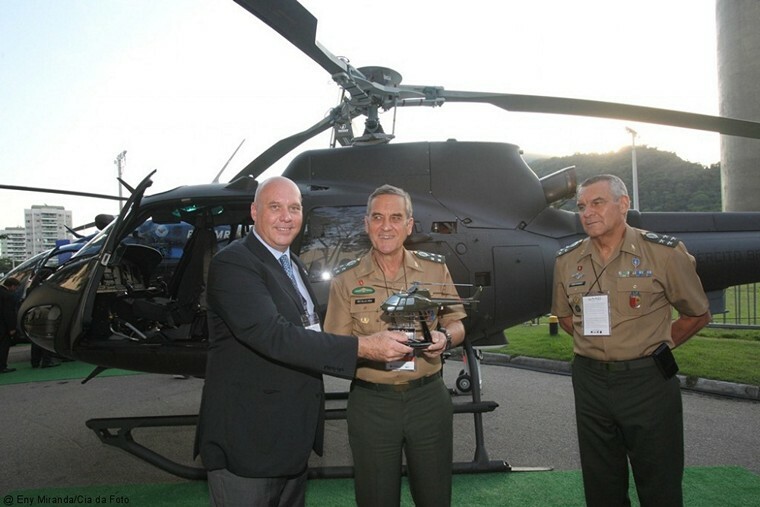 The helicopter was received at LAAD during a ceremony by Army General Eduardo Dias da Costa Villas Boas. Also on display and to be delivered to the Brazilian Air Force in a matter of weeks was the first H225M in Latin America to have an in-flight refueling system, developed by Helibras engineers. On the parapublic side, Helibras delivered the first of two EC145s to Rio de Janeiro's Secretariat of Public Security during the show. These helicopters will provide safety services during the 2016 Summer Olympic Games. In addition, the Rio de Janeiro stop of the H145 demo tour coincided with LAAD, with some journalists and customers participating in demo flights during the show. Bombardier Commercial Aircraft announced today that Air C�te d'Ivoire, the national airline of the Republic of C�te d'Ivoire has converted options on two Q400 NextGen airliners to a firm order. 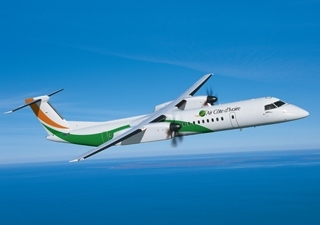 Air C�te d'Ivoire's two options were acquired under a contract announced on December 18, 2013 that also included a firm order for two Q400 NextGen aircraft. Air C�te d'Ivoire took delivery of its first two aircraft in 2014, in a dual-class configuration. "The demonstrated performance of the Q400 NextGen aircraft has been exceptional as we continue to develop our domestic short- and medium- haul markets and increase our route network," said Ren� D�curey, Chief Executive Officer, Air C�te d'Ivoire. "It's the most productive, flexible and economical aircraft for our growth strategy and its dual-class cabin fits well with an overall service offering that has been wonderfully received by our passengers. 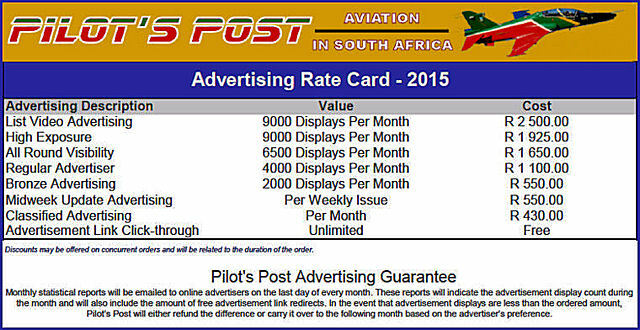 We are placing this additional order as the Q400 aircraft is a significant contributor to our bottom line." "We are pleased that Air C�te d'Ivoire continues to grow with our Q400 aircraft, thanks to its jet-like speed and best-in-class seat economics," said John Kassis, Regional Vice President, Sales, Middle East and Africa, Bombardier Commercial Aircraft. "The Q400 turboprop has been one of the top success stories in the region and it continues to prove its operational capability and flexibility in Africa's hot, topographically diverse landscape." "The growth of the Q400 turboprop and CRJ regional jet fleets in Africa is evidence that airlines there are developing strong regional networks with modern, efficient aircraft to serve point-to-point destinations within the regions as well as feed intercontinental traffic at major hubs," added Ryan DeBrusk, Vice President, Sales, Europe, Middle East, Africa, Russia and CIS, Bombardier Commercial Aircraft. "Only Bombardier with its regional turboprop and jet aircraft, available in one-, two-, or three-class passenger cabins, with proven performance, reliability and economics, can fill these roles."